Size: approx. 3-5 mm. Photo: 07/21/11, 1 pm. Very strange and tiny beetle. When I took this image, I wasn't quite sure whether this is an insect at all or just dirt. Now I know that it's the metallic wood-boring beetle Brachys sp. (I guess that it's B. ovatus but the photo is unfortunately too poor). 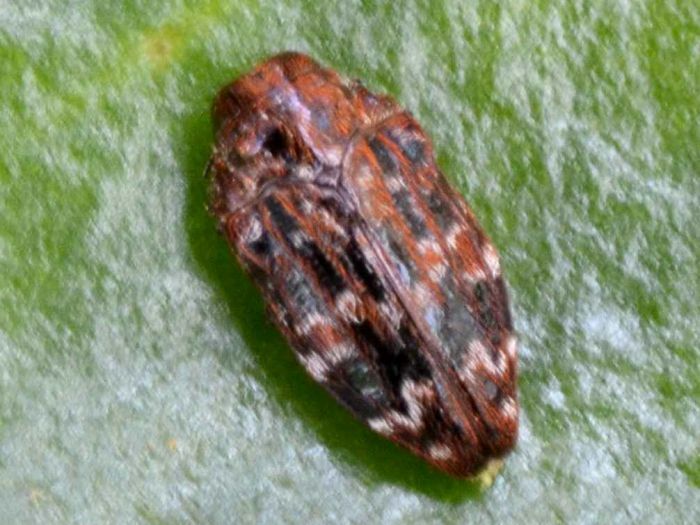 The beetles feed on the upper surface of leaves.